A new, questionable rumor claims Apple's manufacturing partner, Foxconn, is testing televisions for the company sized between 46 and 55 inches. The details were published on Wednesday by Focus Taiwan, which cited a source at Hon Hai Precision Industry Co., also known by its trade name of Foxconn. The source indicated that the "initial phase of tests" on Apple televisions has begun, though it's "unlikely" shipments would begin as soon as the end of 2013. Diminishing the report's likely accuracy, however, is the fact that the source allegedly claimed that new "Apple TV-related products" will be shown off at the Consumer Electronics Show in January. CES is an annual trade show that Apple has famously avoided. At last year's CES, rumors of an Apple television were characterized as "the elephant in the room." 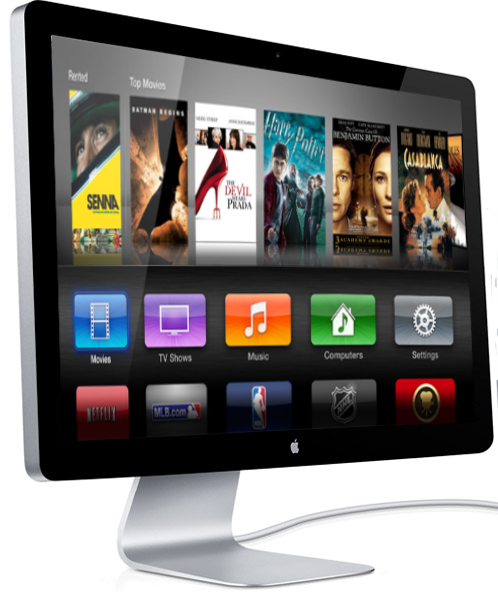 The 2012 convention featured increased innovation in HDTVs  a change believed to have been spurred in part by fears that Apple is planning an entrance into the market. Aside from the specific screen sizes and mention of CES, the report mostly reiterates what The Wall Street Journal initially reported last week: That Apple has been testing "a few designs" for a large format TV with its manufacturing partners in Asia. Specifically, the original report said Apple was working on prototype designs with Foxconn and Sharp.